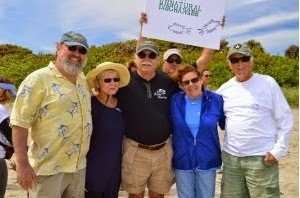 Sierra Club Florida News: Drumbeat from Martin County: Buy the Land! 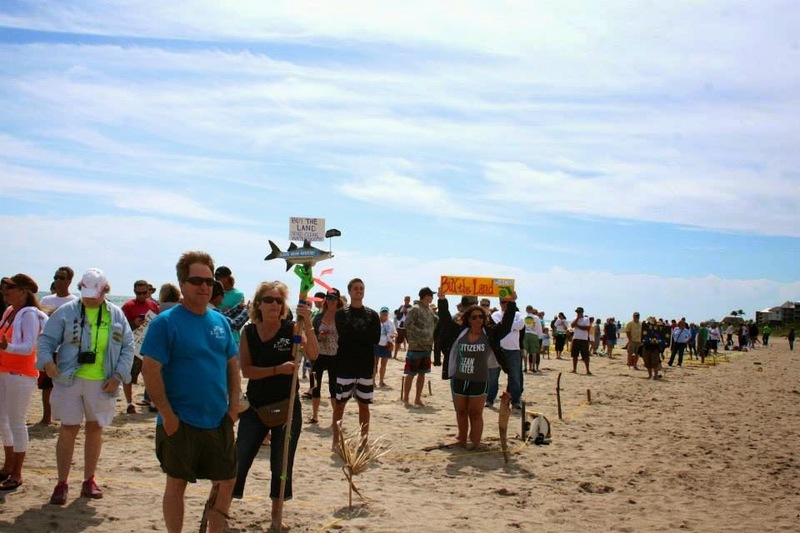 Beachgoers spreading out to spell "Buy the Land Now"
Clean water activists spelled out “BUY THE LAND” on a beach and a flotilla gathered near a golf course where President Obama was playing last weekend in Martin County. On Saturday, an estimated 300 ralliers organized by Citizens for Clean Water whooped and waved signs calling on our elected representatives to exercise the US Sugar land purchase option before it expires in October. 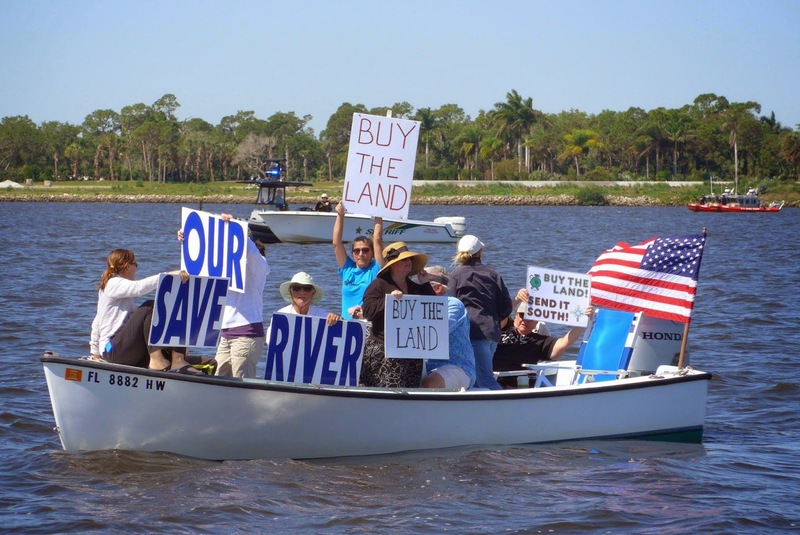 Said Indian Riverkeeper Marty Baum, “You’re standing in the letters that spell out “Buy the Land.” That message has to go all the way to our governor, legislature, and White House! On Sunday, the Indian River Warriors organized a flotilla offshore of the Floridian National Golf Course, where President Obama was enjoying a round of golf.